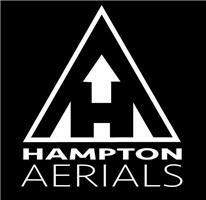 Hampton Aerials - TV Aerials/Satellite Services based in Hampton, Surrey. Invoice history based on 111 reviews. TV Aerials and Satellite Services, TV Aerial and Satellite Installation, Aerial Repair, Freesat, Freeview , Television Points, Audio and Visual Installation, Communal Aerial and Satellites, Home Cinema, Network Cabling, TV Wall Mounting.